Whether you're shopping for something you haven't tried before, or restocking your tried-and-true must-haves, this weekend House of Fraser has you covered. Yep, that's right the House of Fraser Beauty Event is back and finishing this Sunday 11th September! Spend £50 or more on beauty, include one of their favourite products and receive £10 off. Plus collect 250 bonus points with Recognition reward card. With just a couple of clicks you can "treat yo' self", get the best bang for your buck and indulge in some cult classics including Estée Lauder Double Wear, Giorgio Armani Luminous Silk Foundation, Clarins Energy Booster and Yves Saint Laurent Touche Eclat just to name a few. And whilst I'm sure you don't need enabling, I thought I'd share two newly added items to my stash, both of which are available to buy in the HoF Beauty Event. Bobbi Brown Vitamin Enriched Face Base £40.00* Bobbi Brown's skincare range is often overlooked and I for one am usually a little hesitant to try skincare from a makeup brand. However, Bobbi Brown's Vitamin Enriched Face Base sounded too good to pass up. 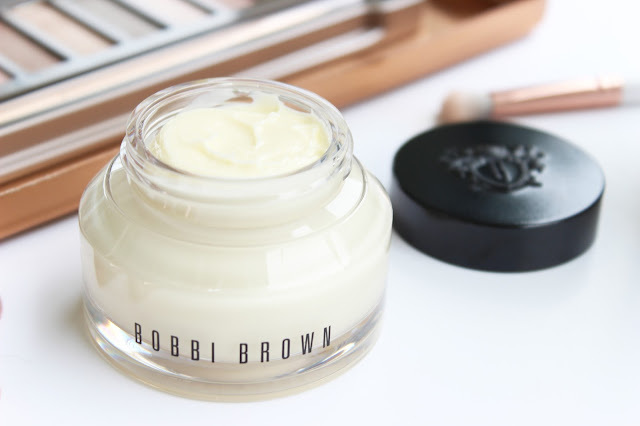 Packed with vitamin goodness (B, C and E) and shea butter, the oil-free double duty primer and moisturiser is a Bobbi Brown bestseller. Applied to clean skin, the rich yet non-greasy face base instantly smoothed over pores and blemishes. It made my skin ever so slightly emollient without feeling like a film creating the perfect makeup canvas. And the scent is not only amazing (grapefruit and geranium). The packaging is pretty too. I'll keep you in the loop with this one! 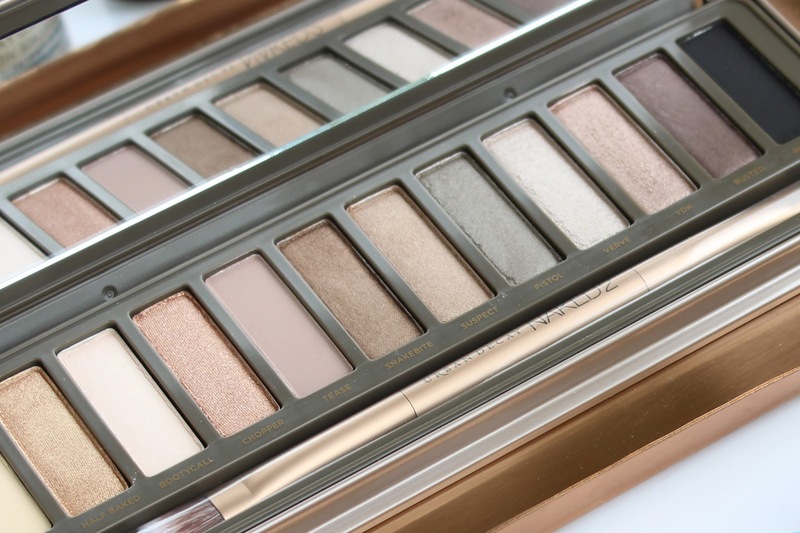 Urban Decay Naked 2 Palette £38.50 I had been yearning for the Urban Decay Naked Palette for oh so long. So when my boyfriend Ben gifted me the Urban Decay palette for my recent Birthday, being the self confessed palette fanatic that I am, I went into makeup meltdown. Housed in a sleek taupe tin, the 12 taupe-hued eyeshadows are drool-worthy. The shades 'Pistol' and 'Tease' are particularly pretty and the formulation is buttery smooth. 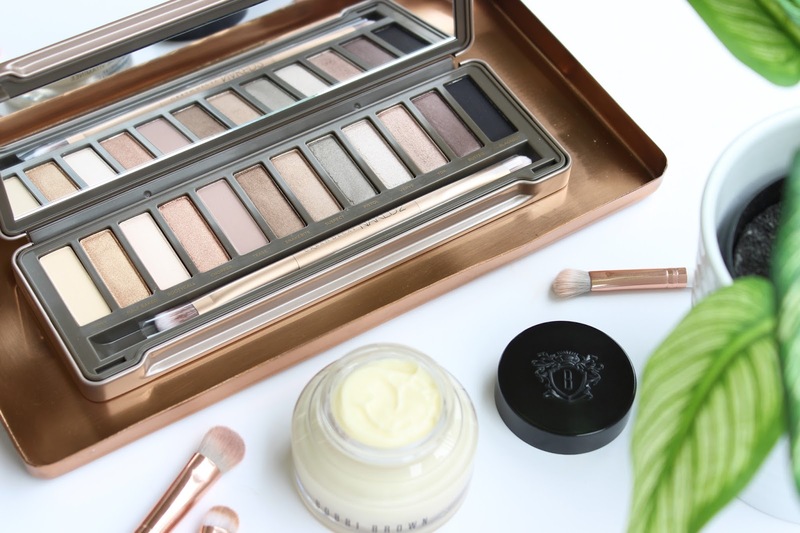 I've read innumerable rave reviews and tutorials and can imagine this solid palette is set to become a firm favourite amongst my collection. Have you tried either of these products? What would you pick?